Google has been working to make Google Voice easily accessible by creating mobile apps and most recently, through number porting. The latter was a serious jab at cellular carriers, allowing users to circumvent many of the traditional restrictions. Instead of trying to fight this, Sprint decided to team up with Google to bring the benefits Voice to their existing customers. 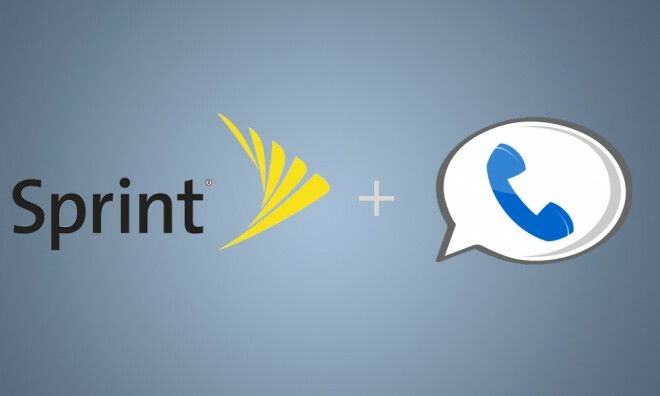 With the new partnership, Sprint customers will be able use their existing number as their Google Voice (GV) number. This means that they can get all the features of GV without the needing another separate number. Instead of trying to fight Google Voice, Sprint is taking the smart route and incorporating the service for existing customers. When subscribers place a call or send a text message, it will now Google Voice if enabled. In this way, Sprint customers gain all the advantages of the web interface, call blocking, forwarding, ringing multiple devices, and other Google Voice perks. If you are not a Sprint customer, you are out of luck. Sprint is the only carrier that allows users to use their existing number without having to go through the hassle of porting it. You can port your existing number to Google Voice, but it means paying a $20 service fee to Google as well as having to cancel your existing contract. Cancelling an existing contract is generally a fairly arduous task since early termination fees can range between $175 and $300. I recommend reading out article about things to know before porting your number to Google Voice. I like the direction that Sprint is heading, by allowing users the freedom to do anything they want. Carriers rarely grant any liberty to users, as most continue to constrict their customers. Sprint seems to be the only carrier that is showing any willingness to differentiate itself and its devices. Hopefully more service providers will take note of this and begin to offer this type of integration. This feature will be available soon to Sprint customers in the US and will slowly be rolled out to all Google Voice users. I wonder how well this will work if you use your Sprint number as your Gvoice number and already have a Gvoice number. I wouldn’t mind porting my number over to Google however I have a Google voice number that I use on a regular basis (more phone calls on it than my normal number).